Homepage › Forums › Life › Family › Parents of Mibba! I can give you advice from my personal experience even though I'm only 18 myself. I turned 18 last August. But beforehand, I had moved out in May while I was still 17. I moved in with a friend who soon turned into a boyfriend and now is my daughter's father. We aren't together anymore but we're still friends. If I had to choose all over again, I wouldn't have moved out so young. However my living situations at home weren't the greatest because my dad was an alcoholic and a drug addict. He'd abuse me, especially when he was messed up on all that crap. That was my reason for leaving. I live in Michigan and when you hit 17 in most cities here you are no longer considered a minor, but not yet an adult. You can legally leave your house without your parents permission and they can't call the cops on you and consider you a runaway because a runaway is a minor, which a 17 year old here, is not. My parents used to threaten to call the cops every time I'd threaten to leave. But for me, it was either leave or end up in jail for blowing up on my dad. So, I left. Parents couldn't do anything about it. I'm not sure about the laws where you live, but it might be the same. You seem like a respectable parent, not into drugs or anything and seem to have a good home life. Your daughter seems very responsible as well. I suggest sitting down and having a talk with her about the situation. Let her know that you'd rather her wait until she is of age to move out on her own, and that you don't want her moving in with her boyfriend so young. Believe me, moving in with mine-at-the-time was a huge mistake. The only good thing out of that whole situation, was my daughter. But all and all, let her know how you really feel. Try to keep as calm as possible. Let her know that being on her own is hard, especially that young. Hope this helped you out a bit! It did. Thank you for your reply. Although I have tried this, I am going to give it one more go. Keep in mind I'm attempting to keep the peace here. She wants one thing-I'd prefer another. I've been debating a compromise, she can move out two months early IF and WHEN she graduates and has all her paperwork sent in for her college admission. Most young adults want to move out and get on their own, although the resons why vary. I'm sorry yours seemed so neccessary but it sounds like you have a good head on your shoulders, your daughter is lucky to have you. Thank you for willingness to share your life expereriences with me, I appreciate it! My baby girl passed away last night in my arms. She was 45 days old. She overcame things the doctors didn't think she could. But her little body tired out. I just became a mom in February. My daughter was born February 28, 2013. I am in love with her. There is a picture on my profile. I gave birth via c-section to my daughter Olivia. 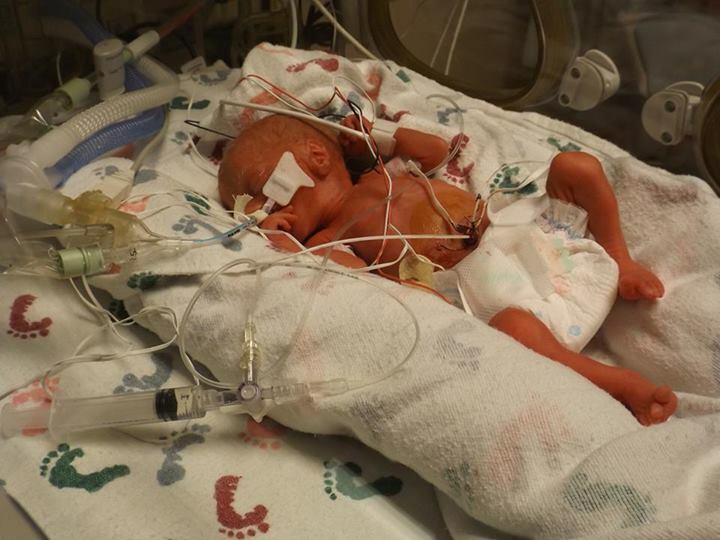 She was born at 26 weeks, at 1 lb, 5 oz. I have a 3 year old son, Jeffrey (I call him Bug) and you can see a pic of him on my profile. I'm also currently 33 weeks and 4 days with his baby brother, Jason, and he will be here on Oct 11th at noon (scheduled c-section). Congrats to all the new mommies on here!! Being a parent is such an awesome feeling! The love you feel in your heart for this tiny little being is something you never thought you could feel and it's the best feeling in the world. @Isis, I'm very sorry for your loss. I can't ever imagine how hard that must be, but if you ever want to talk, just to get things off your chest, I'm always available to listen. Baby due date coming up. I'm not a Mibba mom but I wanted to pop in and say, hi. So, hi! Oh and Meg, Bug's lil bro/sis (the gender could change. ;D) is gonna be born 3 days before my 4 yr old cousin turns 5. LOL if Jason turns out to be a Jade, I'd be ecstatic lol but I don't think there's any mistaking that piece of anatomy when he spreads his legs and gives you a nice, clear view of what exactly he's packing haha. That totally took me a second to understand and then I was like oh. Haha I get it now, he'll be born 3 days before her little cousins birthday! Pfft, it could possibly fall off! ;) Kidding but you may never know though. My little bro was said to be a girl when he was in my mom and now he's a boy. XD I tend to over explain things. Sorry! LOLOLOL xD Like I said, I'd be okay with Jason coming out and actually being Jade lol. Just have to trade out a lot of clothes. >.> haha. Hi, I'm Bailey and I'm 14 weeks and 5 days pregnant with my first child! I have no idea of the gender yet but I am super excited! Picture anyone? I have a super cute one! Yay other parents! I've got an almost seven week old daughter who after fighting sleep all afternoon/evening is finally taking a nap! I'm lynai and I'm expecting my first child who's do in October. Super nervous but excited.